Ann Costello Speaking to Forum of 150+ global health leaders discussing strategies and good practices and make commitments to fund and support training 10,000 community public health workers from 20 developing nations over the next 3-5 years. ABU DHABI, UAE -- March 12, 2019-- Prior to the official opening of the Special Olympics World Games Abu Dhabi 2019 on 14 March, Special Olympics will host a Global Inclusive Health Forum on 13 March. More than 150 global health leaders will come together to ensure community health workers are adequately equipped with the knowledge, skills, and attitudes required to provide quality health care for individuals with intellectual disabilities (ID). Participants at the Global Inclusive Health Forum will discuss strategies and good practices and make commitments to fund and support training 10,000 community public health workers from 20 developing nations over the next 3-5 years. People with intellectual disabilities face significant challenges accessing quality health care, resulting in pronounced health disparities, reduced life expectancy, and violations to their access to health as a human right. The goal of Special Olympics is to facilitate the reform of health systems around the world to improve access to health for 11 million individuals with intellectual disabilities by 2020. Dr. Tedros Adhanon Ghebreyesus, World Health Organization Director-General, will address the Forum via video about the roles of the World Health Organization and Health Ministries in creating a more inclusive health environment and ultimately ensuring that health systems and public health worker training prioritize the needs of individuals with intellectual disabilities. “A commitment to health is the most important commitment anyone can make, whether you’re committing to your own health, the health of your community, or the health of your country,” said Nyasha Derere, Special Olympics Board Member, Sargent Shriver International Global Messenger, and Chair of Global Athlete Congress. Special Olympics World Games Abu Dhabi 2019 is the largest sports and social inclusion event on the planet — advancing a world of full inclusion for people with ID in sports, education, health and leadership. The Forum will also recognize seven healthcare organizations and professionals who are on the frontlines of bringing essential and often unprecedented health care best practices and services to people with ID. The Golisano Global Health Leadership Award honors the significant impact made by leading individuals and organizations from around the world in improving access to health for individuals with intellectual disabilities. Honorees will be recognized from Belgium, China, India, Jordan, Kenya, Paraguay, and the United States of America. 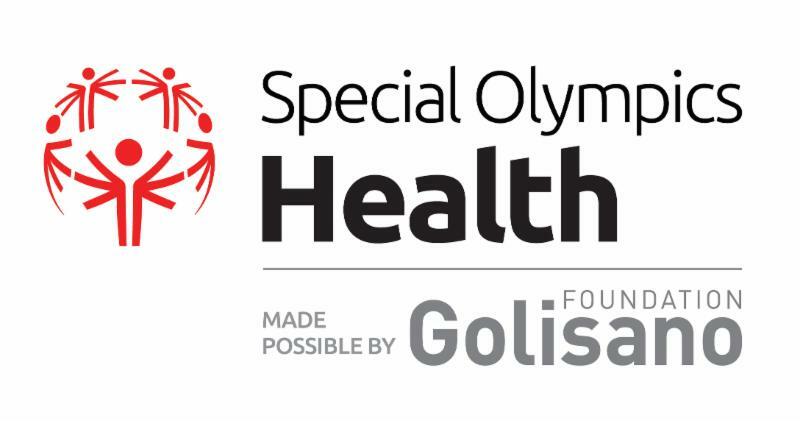 The award is named for Tom Golisano, U.S. businessman and philanthropist, who has contributed $37 million to Special Olympics to advance inclusive health around the world. Following the Forum, participants will gain firsthand insight in to the practical training of student and professional health workers by touring Special Olympics Healthy Athletes, a program that trains health care providers and students in adapted screening protocols and in communicating effectively with people with ID. After a two-day Train-the-Trainer, volunteers offer athletes screenings in seven disciplines: optometry, dentistry, audiology, podiatry, physical therapy and fitness, health promotion, and emotional well-being. Participants will also be given the opportunity to peruse the newly launched Center for Inclusive Health website and Special Olympics Online Training Portal with educational, interactive courses for coaches and health professionals. The Global Inclusive Health Forum is sponsored by the Golisano Foundation and Lions Clubs International Foundation. Special Olympics World Games Abu Dhabi will be the largest sports and humanitarian event in the world in 2019. From 14 – 21 March, over 7,500 athletes and 3,000 coaches representing 190 countries will participate in 24 officially sanctioned Olympic-style sports in world-class venues throughout Abu Dhabi. Tom Golisano — entrepreneur, philanthropist, and civic leader — is the founder and chairman of the board of Paychex, Inc., headquartered in Rochester, NY, USA. With more than 12,000 employees and 100 office locations nationwide, Paychex is a leading national provider of payroll, human resource, and benefit outsourcing solutions for more than a half-million small and medium-sized businesses. Tom’s vision, perseverance and action have left an indelible mark on a broad spectrum of issues that touch our lives - in business, healthcare, education, voter policies, politics, and tax reform. A fierce advocate for dignity and inclusion, Tom Golisano applied his pioneering spirit to establish the Golisano Foundation to help make the world a better place for people with intellectual and developmental disabilities.